The Tourist Information Centre is situated in the gift shop in Priory House. It covers all of southern Bedfordshire and the helpful staff can assist with enquiries on local public transport, National Express tickets and day trips for Theobolds, Tates, Three Star Coaches and Motts. Please Click Here to see our TripAdvisor page. Tourist Information Centre staff have compiled a list of accommodation for Dunstable and the surrounding area. If you would like a copy, please Click Here to download it. As an agent of National Express the team in the Priory House Tourist Information Centre can help you to plan your journey and book your tickets. National Express coaches travel to hundreds of town, cities and airports throughout the UK and Europe. Tickets can be booked and paid for in the Tourist Information Centre in advance or on the day of travel. For just £12.50 a year the Senior and Disabled Coachcards can give you a third off your travel, all year round (exclusions apply) . The cards are simple to buy. All you need in order to qualify is proof of ID to show you are over 60 or disabled. These cards are available to purchase in the Tourist Information Centre. Tourist Information Centre staff are available to book day trips and holidays for Theobolds, Tates, Three Star Coaches and Motts. Theobolds, Tates and Three Star Coaches pick up in Dunstable for their day trips and holidays and Motts will pick up in Dunstable for their holidays. 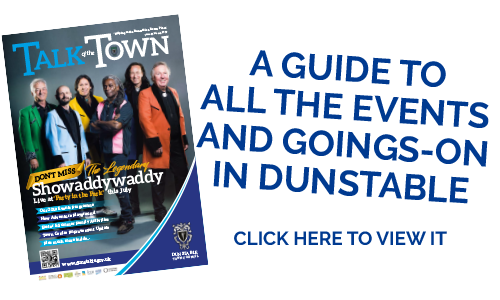 For more information or to request a brochure please contact us at tic@dunstable.gov.uk or telephone 01582 891420. Spend the day in Brighton for only £21.50 per person. Govia Thameslink Day Saver Tickets valid from Bedford to Brighton are available from the Dunstable Tourist Information Centre in Priory House. When purchasing your tickets please remember to ask about offers available on Brighton attractions. Tickets cannot be refunded There may be works on the line and travel may be broken by tube or bus.